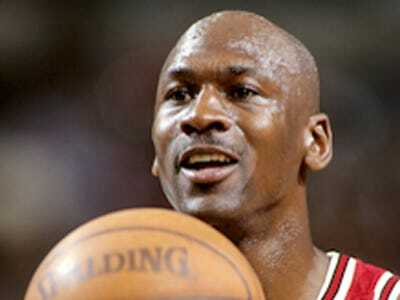 47-year-old, Michael Jordan, practiced with the Charlotte Bobcats last week — OK, I’m intrigued. I haven’t seen Michael Jordan on a basketball court since 2001 or 2002, when the Cleveland Cavaliers played the Washington Wizards at the MCI centre. Since I’m pragmatic enough to realise that Jordan will never play in the NBA again, all I need to know is when these practices going to be open to the public? The minute they sell tickets to these practices, I’m there out of sheer curiosity. I’ve seen the Charlotte Bobcats play a game live and defeat the Minnesota Timberwolves. I was at the Target centre to see the team capture one of its 22 wins, but I have to admit that the news about practice has me interested. That’s right – I’m talking about PRACTICE. I’m not going to lie. Michael Jordan scrimmaging with the Bobcats would be more exciting than watching the Bobcats takes on teams like the Indiana Pacers, Cleveland Cavaliers, etc. Oh, and if you want to make it even more thrilling put Charles Oakley on the court…Best friends and NBA legends on the court?! My head just might explode!